The Highline School District is very supportive of Skunk Works Robotics and we are very supportive of them. The district provides our team with classroom and shop facilities and provides space for us to set up a practice field for FRC teams. Plans are underway to expand our space at the old Beverly Park Elementary school into a full-fledged regional robotics and STEM center that will benefit other Highline FRC teams and the community at large. 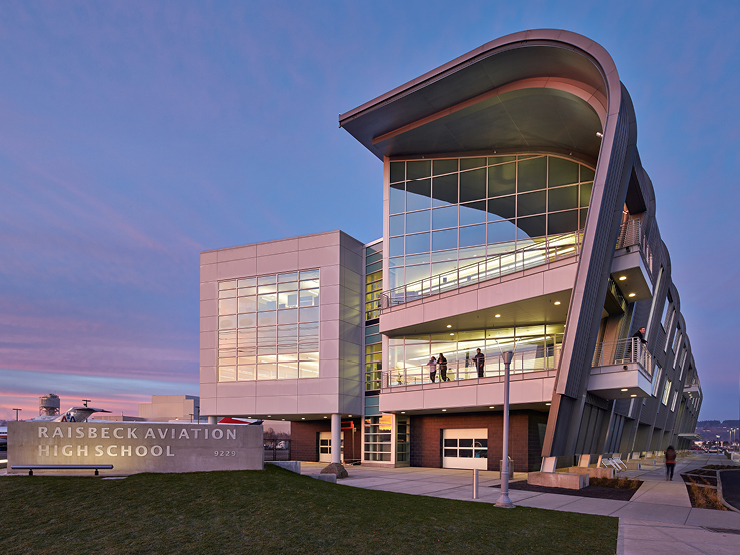 Skunk Works team members are largely from Raisbeck Aviation High School and are active in the school, assisting with events and meeting with dignitaries. Dignitaries have come to Raisbeck Aviation High School and met our robot and team members. These visiting dignitaries include Washington’s governor, Jay Inslee, and Senator Murray, legislators, the president of Embry-Riddle, Boeing Airplane Company CEO, Jim Albaugh, Esterline CEO, Secretary of Education, Arne Duncan, the National Science Teachers Association (NSTA), Pathfinder Award recipients, Carolyn Corvi and Steve Fulton, and several corporate heads. They were interested in what we had learned and what impact the FIRST experience had on us. We were happy to let them know and share our stories and aspirations for the future. Every year, Skunk Works team members hold a Spaghetti Dinner and fund raising auction This also gives us a chance to demonstrate our robots and show what FIRST is all about. We also auction off our team's services and skunk related items.